And yet another version presented on StrangeLoop by my friend Dmitry Ivanov. Scala provides different language constructs by which a wide variety of DSLs can be made. Implicits, operators as name of functions, macros, higher order functions etc. are examples of those constructs. However, building a DSL is not a trivial task especially when performance matters. In this blog post, I am going to talk about a simple DSL that I built in Scala to convert objects to a sequence of bytes. As a use case, the resulting byte array can be used to create a hash (e.g. MD5 or SHA) for a piece of data. The DSL’s aim is to be concise and efficient. By running this code, result will contain 10 bytes, out of which 5 bytes to represent str, 4 bytes for i and one single byte for b. In standard UTF-8 encoding, str will encode to 3 bytes but writeUTF creates modified UTF-8 where it starts with preceding two bytes stating the length of the byte sequence. As it is Java, the code has lots of boilerplate but it is quite performant. Obviously, if we come up with a concise DSL to eliminate the boilerplates while preserving the performance, we will achieve our goal. So let’s define the desired DSL syntax first. Since we want to be able to invoke ~ operator on any object, we have to extend all types to support ~. At the beginning of the chain, ~ is an operation defined on String and accepts instances of any type as its argument. As mentioned in the previous point, this operator is not just defined on String but on all types. In our example, the first ~ invocation can be desugared to "DSL".~(32). Supports ~ operation which accepts instances of any type as its argument. In our example, it accepts true. Carries and mutates DataOutputStream and ByteArrayOutputStream created at the beginning of the flow. Supports operation ~| which closes DataOutputStream instance and retrieves bytes from ByteArrayOutputStream instance. As seen, I differentiated between the first ~ and the rest. The first one is defined on all types and produces an instance of a special type (let’s say Container). However, other ~ operators, are defined on Container and produce Container. First, I start with defining Container. As mentioned before, Container is responsible for carrying and mutating DataOutputStream and ByteArrayOutputStream. Moreover, it should support ~ and ~|. The implementation of ~ will come later. The complete source code can be found here. ByteSequenceRepr is the actual type class which accepts a type parameter. It provides a writer higher order function which yields a function to write instances of type A into DataOutputStream embedded in the Container instance. Additionally, our type class has two other functions which actually mutate (or create and mutate) the Container instance using available writer. Later, I will explain how this type class is going to help us. ~ accepts an argument of type A and it needs an instance of ByteSequenceRepr of type A available in the scope. The logic is quite simple; using the available ByteSeqeunceRepr, the given instance of A is written into DataOutputStream carried by Container instance. Of course, you may rewrite this function using context bound and implicitly mechanism. Implicits have been defined in ByteSequenceRepr companion object. In this way, the default implicits will have the lowest priority when they are being looked up. Thus, for example, if the user wants to provide a new implementation for string ByteSequenceRepr, she/he just needs to add a new implicit in the scope and that one will have the higher priority than the default one. Here, you can find a detailed explanation of implicits finding rules. The first invocation of ~ is on "DSL" and the argument of this call is 32. Therefore, first, the Container instance should be created having "DSL" written into its DataOutputStream field. Then it should be mutated by writing 32 in it. This happens by calling two different overloads of toByteSequence on available ByteSequenceRepr instances in WithTilde ~ implementation. ~ yields a Container instance, so all the subsequent ~ invocations (i.e. ~ true) will be done on that resulting container. WithTilde implicit class extends AnyVal so a new instance of WithTilde class is not created every time that the conversion needed. Moreover Container instance is mutated and passed through instead of being re-created every time so the heap size is not increased drastically. Our DSL has a very small memory usage overhead comparing to the pure java approach due to intermediate Container objects that being created. However, since for each chain, we instantiate Container just once, it is negligible. We can go even further by using shapeless to define a general ByteSequenceRepr to convert any case class to a sequence of bytes. The basic idea is that shapeless provides HList data type to model heterogenous lists. Additionally, shapeless supports a mechanism to implicitly convert any case class to a HList. So, if you provide an implicit ByteSequenceRepr for HList, you can use it to implicitly convert any case class to an array of bytes. By having that, you do not need to provide an implicit ByteSequenceRepr for Point case class in the above example. Of course, it is not without cost and because of those intermediate implicit conversions, the memory consumption will be increased. The complete source code of using shapeless can be also found here. I am not going more into details of shapeless but you may get the basic idea by reading this. So it leaks some underlying structures (Container) which is not ideal. Building a custom DSL should be done carefully especially from the memory management point of view. If you are using different internal DSLs in your server side application, under the load, the sum of the memory usage of them may negatively impact the server performance. Moreover, although we need to keep immutability, sometimes to improve performance, we may use a mutable data structure underneath but that should be encapsulated properly. How can we keep the compositional style (composing higher order functions like map, filter etc.) but without creating intermediate results to use memory more efficiently? As seen above, the main difference between Stream and other strict sequences such as List is that the tail is a function instead of a strict value. So, tail is not being evaluated until it is forced. Let’s play with our Stream data structure to see how it works. Now let’s add a simple version of map and filter to our Stream trait. Upon the invocation of the first map, Stream(1, 2, 5) is matched with the second case (line 4) so Cons(11, function0) is created. function0 notation denotes on a function which if it is invoked, it calls map(_ + 10) on the tail of the original stream. Next, filter function is invoked on the result of the first step which was Cons(11, function0). So it is matched with the second case (line 9). Since 11 is not a multiple of 3, it should be filtered out so else branch is executed. Therefore, function0 is invoked to be evaluated. So we enter again in the map function and again we match to the second case (line 4) and Cons(12, function1) is created. Upon executing filter on this intermediate result, it is again matched to the second case (line 9) but this time, since 12 is a multiple of 3, it is not filtered out (line 11). So Cons(12, function2) is created. Now, map(_ * 2) will be executed on this intermediate result and so on so forth. Intermediate results are type of Stream which only has its head evaluated and the rest is not evaluated. The order of the transformations is the same as while loop. This is why sometimes streams are referred as first-class loops . It seems that we should use this first-class loop instead of strict collections whenever we have a chain of transformations. Is it true? To answer this question, I benchmarked Scala standard Stream against Array from both memory and throughput aspects. The benchmark source code can be found here. For memory usage comparison, I implemented MemoryUsage application and monitored the memory usage of different approaches with VisualVM. As seen, applying the aforementioned chain of transformations on Array needs considerably bigger heap size. However, when the size of data is smaller, the differences is less tangible. But memory usage is just one side of the coin. What about throughput? sbt "run -i 5 -wi 5 -f1 -t1 \"StreamingBenchmark\""
As seen, given the previously mentioned transformation chain, Stream throughput is around 4 times less than Array throughput. Although Streams eliminate intermediate collections upon transformations, it has considerably less throughput comparing Array (of course Array is optimised for traversing but I also executed the benchmark against other strict data structures like Vector and List and in all cases Stream has worse performance but with different ratios). Stream and other non-strict data types are great data structures but they should be used when their characteristics are really needed. Sometimes non-blocking external libraries are providing futures as their functions return type but you cannot provide any timeout for those functions. Imagine you may want to ping a database service but you do not want to wait forever to receive the ping result. For example scalapenos client library for Riak provides a ping function returning Future[Boolean] but you cannot provide any timeout for that function. Since it uses Riak HTTP APIs and connect to those API using spray-client pipelining, it relies on the default sendReceive timeout which is 60 seconds. The logic is quite self-explanatory. According to akka documentation, after returns a future that will be completed with the success or failure of the provided value after the specified duration. So, in the above example, t will fail after 1 second with TimeoutException. Therefore, fWithTimeout will be a future to the result of t if it completes faster than f meaning that f has not completed within the expected time. to a variable, you have to define it as a lazy val and not a val. Passing the future to after inline as I did is also fine because the parameter is a by-name parameter. The downside of this approach is its dependency on akka. Here you will find a lower level approach using pure scala (plus Netty HashedWheelTimer scheduler) where actually the after pattern has been mimicked. As I mentioned earlier the above solution fits akka actor systems perfectly. Federation is one of the ways by which a software system can benefit from having multiple RabbitMQ brokers distributed on different machines. Clustering and shovel are two other ways to provide distributed brokers. Choosing between these approaches completely depends on your context and what you want to achieve. In this blog post, I am going to focus on exchange federation feature of RabbitMQ to achieve highly available messaging system spread in multiple AWS availability zones. Whether this is a right choice or not will be explained at the very end. RabbitMQ provides two types of federation: exchange and queue. The focus here is the former. Imagine the goal is to have three RabbitMQ instances spread in three different AWS availability zones located in AWS Ireland region. So, if any of these availability zones has connectivity problem or temporarily goes down, the messaging system continues working. Let’s think about a scenario where there is a direct exchange to which different publishers can publish messages. So each message, based on its routing key, will be delivered to one or more queues. In the distributed brokers architecture, it should be possible that a message is published to an exchange on one node and be received on a bound queue on another node. The exchange federation makes this possible by defining other nodes as upstream of the current node. So if nodes ‘a’, ‘b’ and ‘c’ construct the RabbitMQ fleet, by using exchange federation, it is possible to define ‘b’ and ‘c’ as the upstream of node ‘a’. So any messages published to the RabbitMQ exchange located on ‘b’ and ‘c’, will be replicated on the corresponding exchange on node ‘a’. I assume that you already setup your RabbitMQ instances on AWS and defined a load balancer in front of them. A good instruction to do that can be found here. If you want to achieve high availability, setting up a load balancer in front of the RabbitMQ instances is a good practice because it makes brokers distribution transparent from the message publishers. Now it is time to setup the exchange federation between RabbitMQ nodes. Federation is a RabbitMQ plugin coming with the RabbitMQ distribution. For this experiment, I installed rabbitmq-server-3.3.4-1 on EC2 instances with Amazon Linux AMI. The federation plugin is not enabled by default, so the first step is to enable it. By executing above commands, two new parameters called upstreamB and upstreamC for the federation-upstream component will be defined, each of which defining the upstream URI with max-hops set to 1. By setting max-hops to 1, the downstream nodes cannot replicate the messages that they receive from upstream nodes on their own downstream nodes. In complete graph topology, max-hops should be set to 1; otherwise, nodes can receive back the messages that previously they themselves replicated on their downstream nodes. On the other hand, in the ring topology, assuming that there are N nodes, max-hops should be set to N-1 to let all nodes have all messages. Above approach to let RabbitMQ nodes access each other is safe if nodes are located in private subnets inside VPC. If nodes are accessible via internet, you need to use a more secure approach. For example you may need to configure specific RabbitMQ users with specific access rights. The above command defines a policy called “federate-me” which applies the federation on all the exchanges whose name is “MyExchange”. The name of exchanges can be a regular expression so it may include all the exchanges with the name that matches that regular expression. As you can see, the federation-upstream-set is set to ‘all’. This means that, we want to apply this policy to all upstream nodes that we have previously defined for the current node. You may also group the upstream nodes and define different policies for different groups by setting ‘federation-upstream-set’ parameter to that group. As mentioned here, performance tests using PerfTest shows that the federation throughput is considerably lower than the clustering throughput. The reason is that, federation works at the higher abstraction level than clustering. RabbitMQ clustering does not tolerate network partitions well so it is recommended to be used in cases where brokers are connected via reliable LAN links. Whether the connections between AZs are reliable or not is debatable. Here it has been mentioned that clustering is fine where the brokers are distributed across multiple AZs. 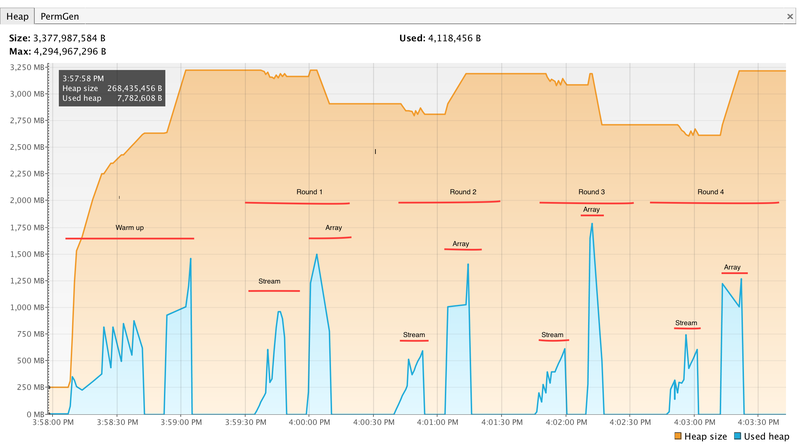 In my personal experience, in a production system running for 6 months having a RabbitMQ cluster of 3 nodes distributed in 3 AZs, we have observed once that the cluster is partitioned due to connection loss between AZs. If in the context of your application this level of unreliability is not acceptable, using federation is recommended. In case of using clustering, the monitoring system should immediately capture that the cluster is partitioned and recovery can be done automatically by re-joining the nodes to the cluster. Setting up a federated RabbitMQ fleet is more complicated than a RabbitMQ cluster. Specifically upon scaling up, the existing nodes should be re-configured to have the newly added node as their new upstream node. This means that setting up an auto scaling group for a federated RabbitMQ fleet is not a trivial task. Federation is a RabbitMQ plugin in order to setup distributed brokers. Generally, in reliable networks, clustering is preferred due to higher throughput and easier setup. Although connection links between AWS AZs are not as reliable as network connections inside a single AZ, by having appropriate monitoring system in-place, clustering is preferred over federation. But it should be mentioned that this still depends on your application context and the level of unreliability that your application can accept.